We are the Samurai of the spoken word. Creative people, writers, poets, and hedonistic ne'er-do-well we are. Watch us act out in public. 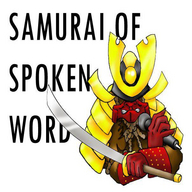 Chat with us live during showtime at SamuraiSpokenWord in either yahoo or google talk.